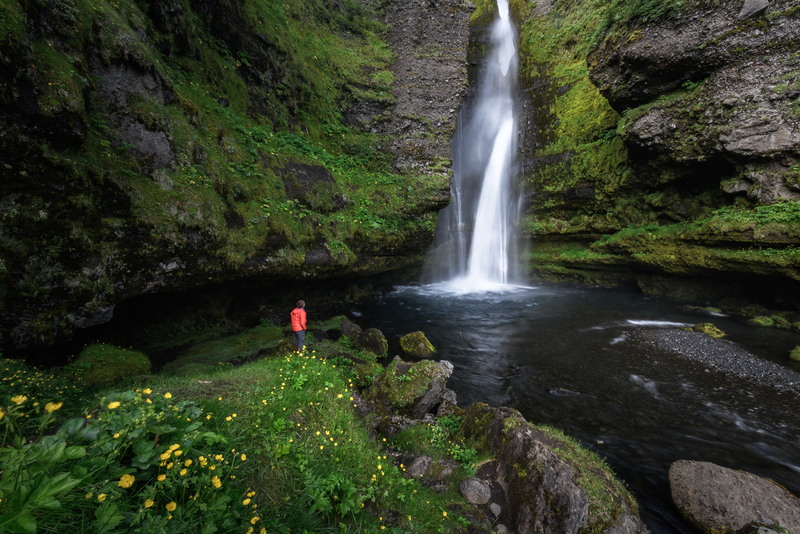 Finding lesser known locations to shoot in Iceland is a challenge. 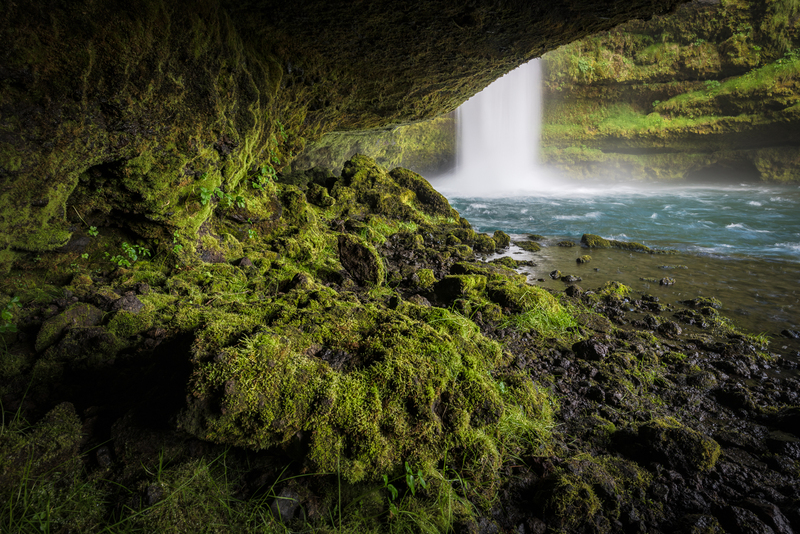 Considering that the Gluggafoss (Merkjárfoss) waterfall is not far from the crowded Seljalandfoss in South-Iceland it is a hidden gem. 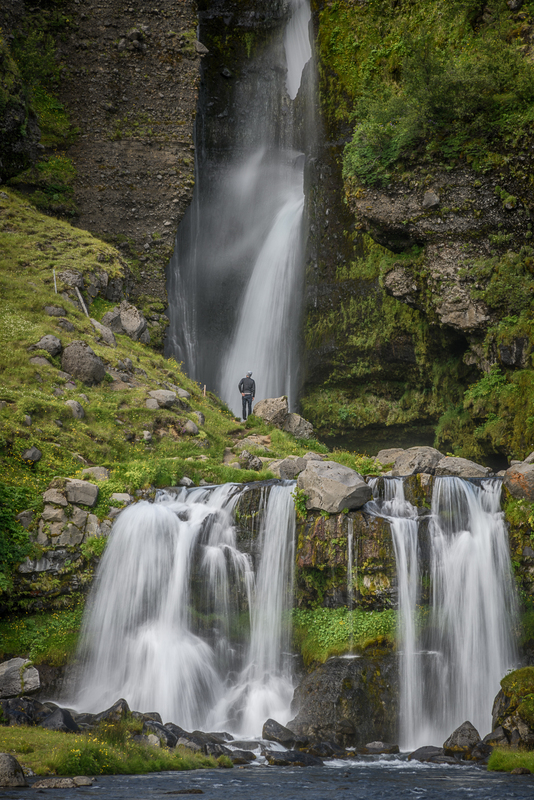 It is definitely worth it to drive from Seljalandsfoss to Gluggafoss if photography is your thing. 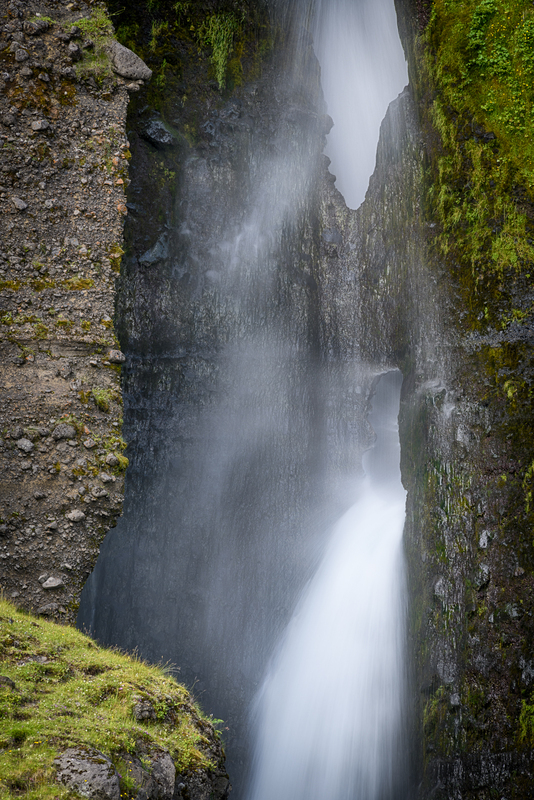 Most waterfalls offer one or two setups in terms of composition. Gluggafoss offers endless compositions. It is easy to spend one or two hours photographing playing with motives and compositions. Working with the motives and the compostions is exactly what I did in my last visit to Gluggafoss. It takes a while to “work the scene”. In the end the compositions are few – and it´s not obvious which one is the strongest. 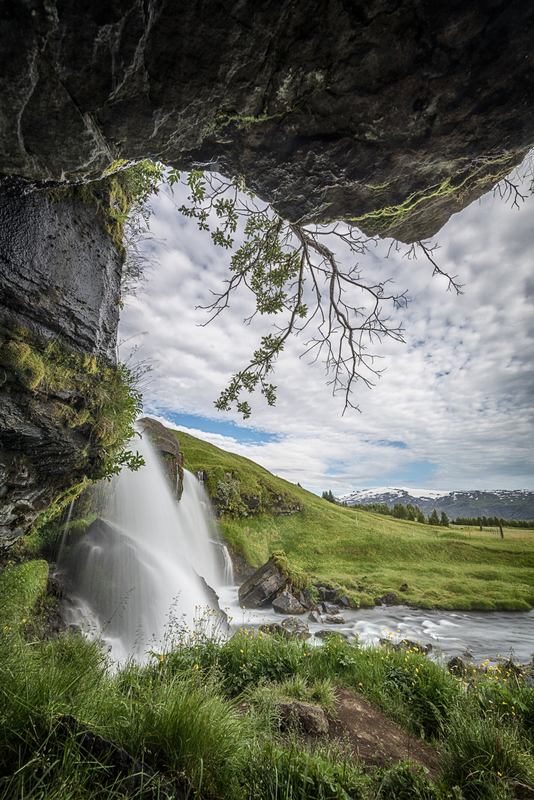 Gluggafoss is sometimes called Merkjárfoss since it is a series of waterfalls in the river Merkjá and together these waterfalls are called Merkjárfoss. Gluggafoss is quite unique because of holes and tunnels where the water flows. 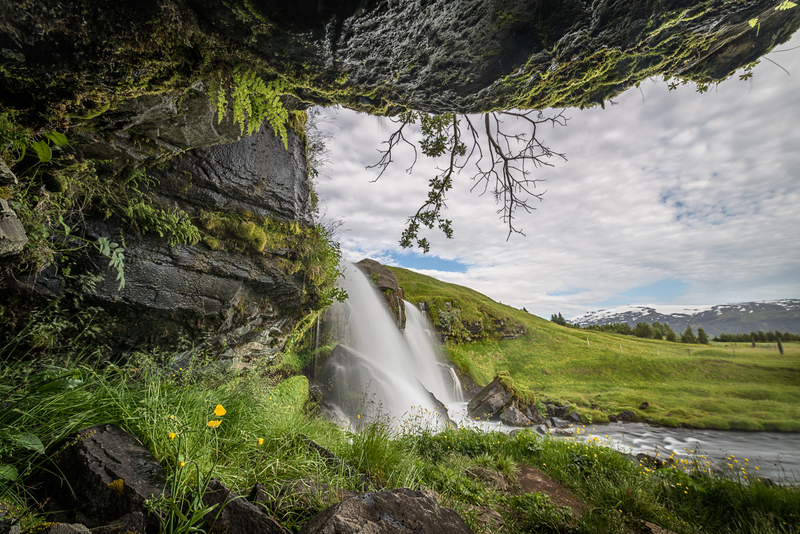 The word “gluggi” means window, hence the name gluggafoss. From Gluggafoss you can see Eyjafjallajokull glacier in the distance. This is possibly a great foreground for next eruption in Eyjafjallajokull. 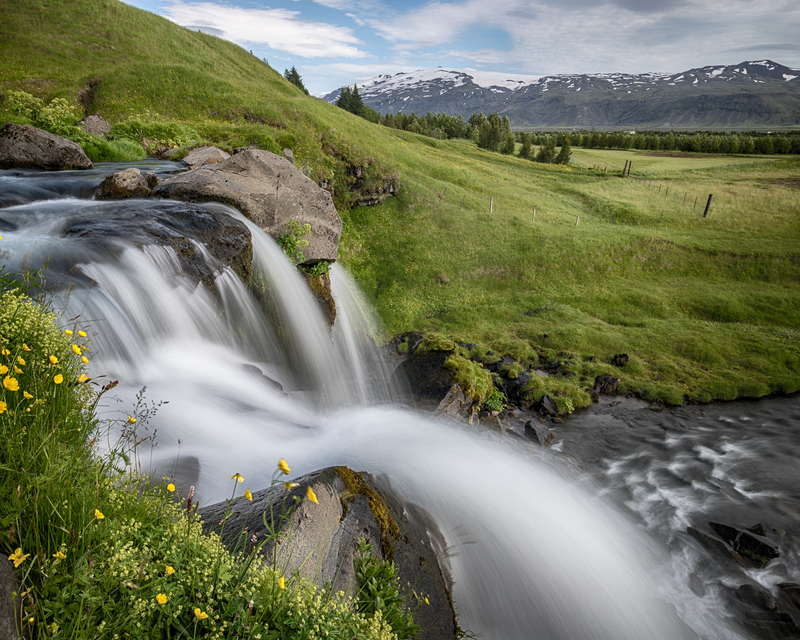 It is easy to imagine that being at Gluggafoss during the golden hour would offer great compositions. I was there one late afternoon. For me this was enjoyable since the waterfall offers many compositions and you don´t see many photos of Gluggafoss – yet.